As we strive to provide lodging that is clean and with reduced allergens for our sensitive guests, animals are not allowed inside the home or on the premises. If you have significant allergies to any specific animals, please let us know so that we can confirm whether our house will meet your needs. Violations will result in immediate eviction and/or charges for unregistered guest ($150/night), cleaning and/or damage fees. As the property owner of only 1 home with 2 rental units, we are not required to accept Service Animals, and we will not make any exception to this policy. Also,any request for "reasonable accommodation" of an animal will not be approved, as allowing an animal would cause us a undue financial hardship in the form of closure for cleaning that would outweigh the value of the stay. We are happy to recommend other lodging in our area that caters to animals traveling with their owners. Keep in mind , Yosemite National Park is not very pet-friendly. All animals except service animals are restricted to paved areas such as parking lots, throughout most of the park, including Yosemite Valley. By law, your animal may not be left unattended inside the park at any time, even in the car. You can be cited by Park Rangers for violations. We know and love the owners of Noble Kennels Adrian and Trina Ghione. They are professional dog handlers who offer the highest quality boarding and grooming services. As animal lovers ourselves and the owners of six dogs (and counting...) we trust the Ghiones with the care of our animals. Our dogs love them! 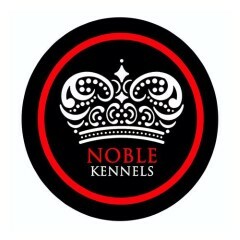 We recommend you contact Noble Kennels well in advance for reservations and to fulfill registration requirements.